Happy 4th of July!!!! 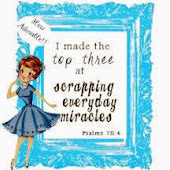 Today is a good day to finish your scrapbooking projects (I am talking to myself here...). LOL. The thruth is this day is usually dedicated to BBQ's, Am I right? That is not going to happen for me 'cause my DH does not like to do it. I know it is weird but nobody is perfect. In that case, scrapbooking would do it. And after another crazy week, a Friday off is great!!!! For today's Friends with Flair, I am sharing this card. 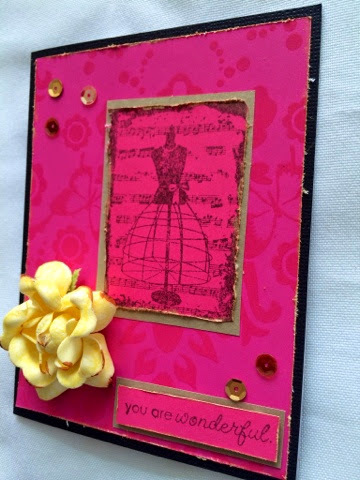 Used layers of gold and pink, with sequins and this beautiful Prima flower. Stamps are from Unity Stamp Co. ... Of course! Tks for stopping by. Have a great long weekend. Stunning, Myra! I love the bright pink and gold. And, I love the Prima flower. Awesome card. Happy 4th to you! Good looking pinky gold..very womening !! 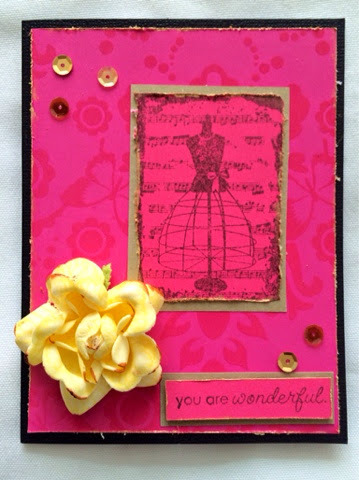 Beautiful in pink and gold with a touch of yellow. This is beautiful...the yellow flower really stands out! Hey...if you can't be bbq'ing..might as well be creating. My hubby is remodeling our dining room and I'm supposed to be cleaning my craft space today. :-) Enjoy your 4th! So bright and beautiful! My hubs doesn't grill either. Dude has no bbq skills. But I do! Love it Myra what a great colour!